Read Receipts offer a way for a message sender to know you have viewed their message, and vice versa. This can be a nice messaging feature in iOS, but it has obvious privacy implications and can become problematic in other situations. Fortunately the latest versions of iOS offer more granular controls and allow you to enable Read Receipts for individual contacts on a person by person basis, while still turning off all Read Receipts in Messages for iOS for everyone else. Or, conversely, you can enable Read Receipts for everyone, but turn the feature off for specific individual contacts too. This is an excellent feature for iPhone and iPad users, and it’s easy to enable and to customize to specific contacts. You will need an iPhone or iPad running iOS 10 or later to have access to the individual Send Read Receipt feature. This allows you to turn read receipts on or off on a per-contact and per-conversation basis. You can enable read receipts per contact on any iOS device, whether iPhone or iPad. Once you have enabled “Send Read Receipts” for an individual contact, they will see the little grey “Read” indicator after you have viewed their message, rather than the generic “Delivered” indicator under any messages sent to you. 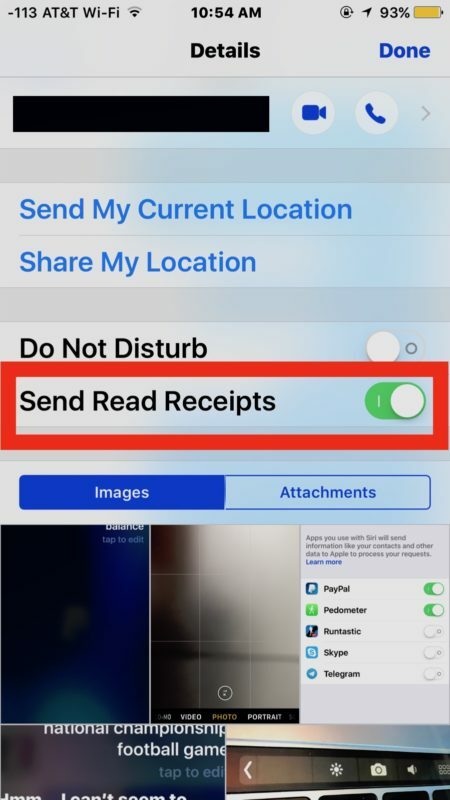 My personal method of using this feature is to opt to disable all Read Receipts in Messages on iPhone but then selectively enable Read Receipts per contact for just a few important people, while leaving the feature off for everyone else. This can be an excellent tool for family, spouses, partners, or anyone particularly close to you that you want to reveal the “Read” receipt to when you have viewed their messages, while still retaining the privacy of having the feature off for everyone else. Individual contact read receipts are really useful, so if you don’t like the general Read Receipts feature and would rather most people see the “Delivered” message but you want a select few people to see “Read” when you have seen their messages, try it out, it’s a great feature with many thoughtful and potentially important benefits. Please make your messages printable. Thank you so much for this training. Read Receipts are a feature of iOS, it works. To say it doesn’t work is to say your car doesn’t work because you can’t find how to roll up the window. 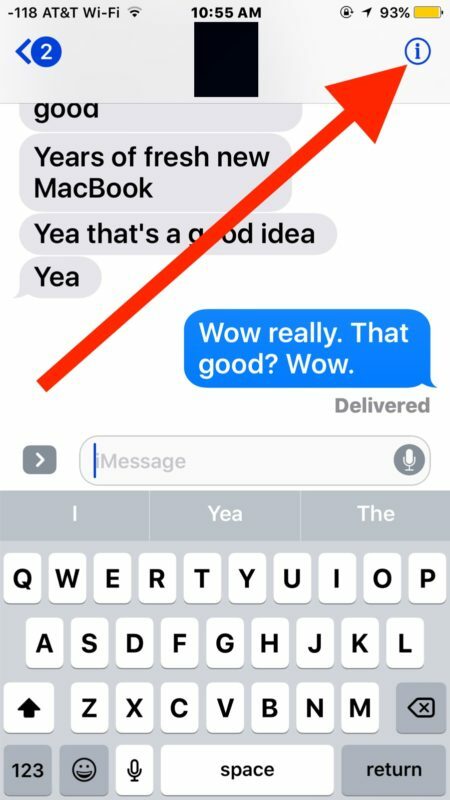 You need to have iMessage, without imessage or iOS 10 you won’t have it. Jeez people. Send Read Receipts requires iMessage on the sender and receiver side. You can’t use iMessage features with an Android phone because currently Apple does not have an iMessage app for Android or Windows. But if you have an iPhone, Mac, iPad, iPod touch, all iMessage features work including read receipts, apps, stickers, etc. Read Receipts are for iMessage only. But sure, you can call and ask the person who got the SMS if they got your text message. WhatsApp and other messengers might have them too, it’s a digital thing. Feature seems backwards, why do I have to enable on my phone a read receipt for the other person’s message. I want a read receipt for my messages I send them. Someone blocked me and now I don’t have the option to turn on read receipts for their contact. Is this related to them blocking me?